This guide will show you how to designate a specific address for the sending of invoices. This address is designated from the company record. 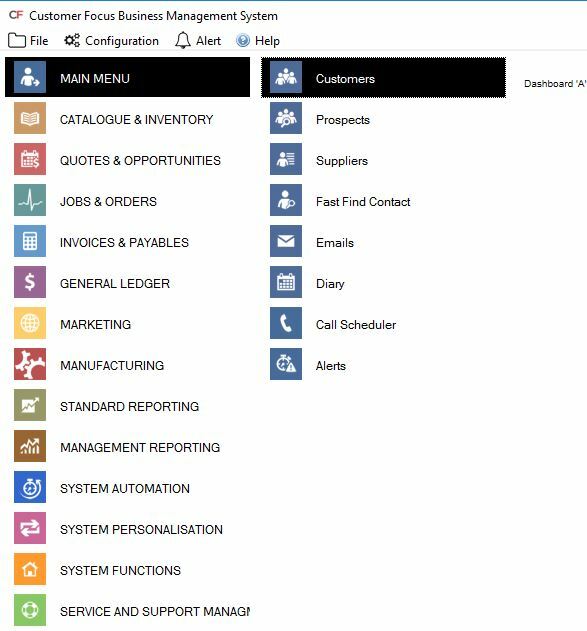 Therefore, first navigate to the ‘Customers’ area of the 'Main Menu' and select the relevant customer once there. 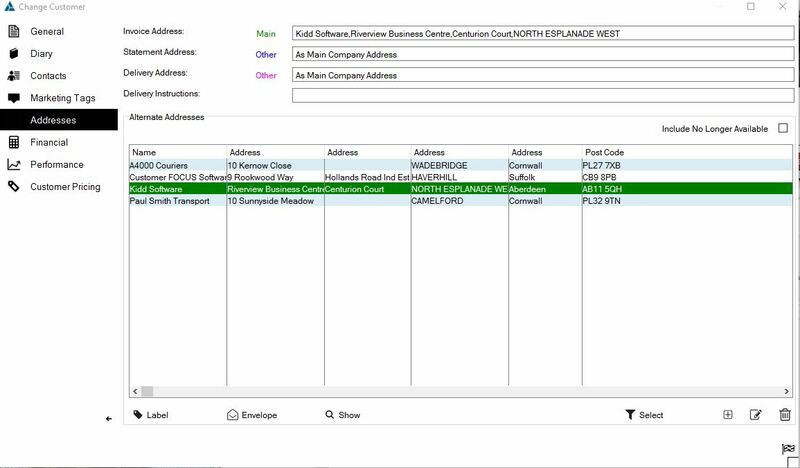 Once within the customer record, navigate to the ‘Addresses’ tab on the left side of the window, as shown. Once there, you will find 3 lines towards the top of the screen labelled ‘Invoice Address’, ‘Statement Address’ and ‘Delivery Address’. We need to change the top one, labelled ‘Invoice Address’. Therefore, start by clicking the ‘Other’ button next to this box. Once the ‘Other’ button has been clicked, the text in the field to the right should change to ‘Select from list below’. 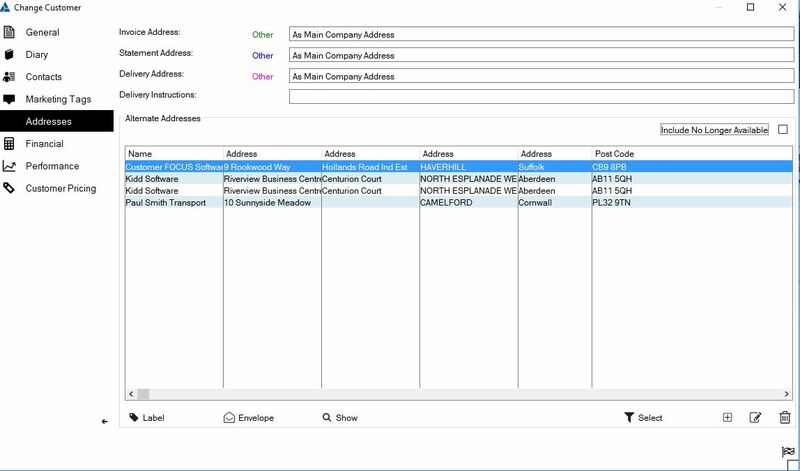 Highlight the address you want to list for invoices, then click the select button to the bottom-right of the screen, as shown. This will populate the text box next to ‘Invoice Address’ with the selected address. 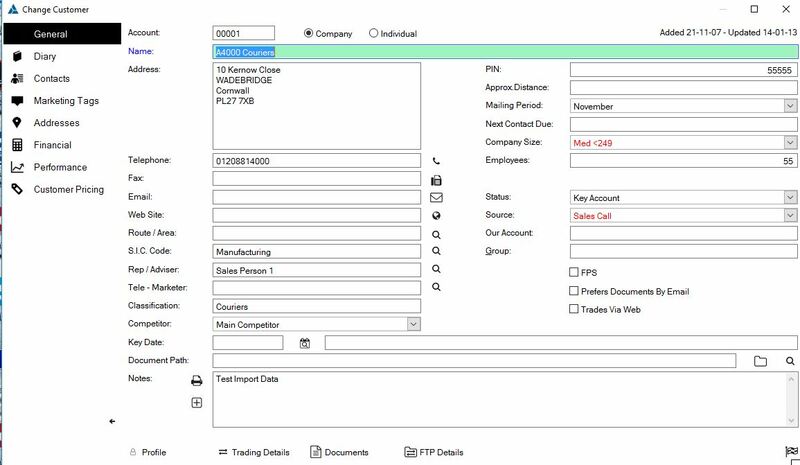 While this guide shows how to add the ‘Invoice Address’, the exact same method can be used to select the ‘Statement’ and ‘Delivery’ addresses, clicking the respective ‘other’ button next to the required field.